Ok, i think the home made plugs look amazing! I want to play. 2 Questions. (1) What kind of presses are these? I searched Amazon, and all i came up with are pasta and pollen presses. Will these work just fine? Any preference over the other? 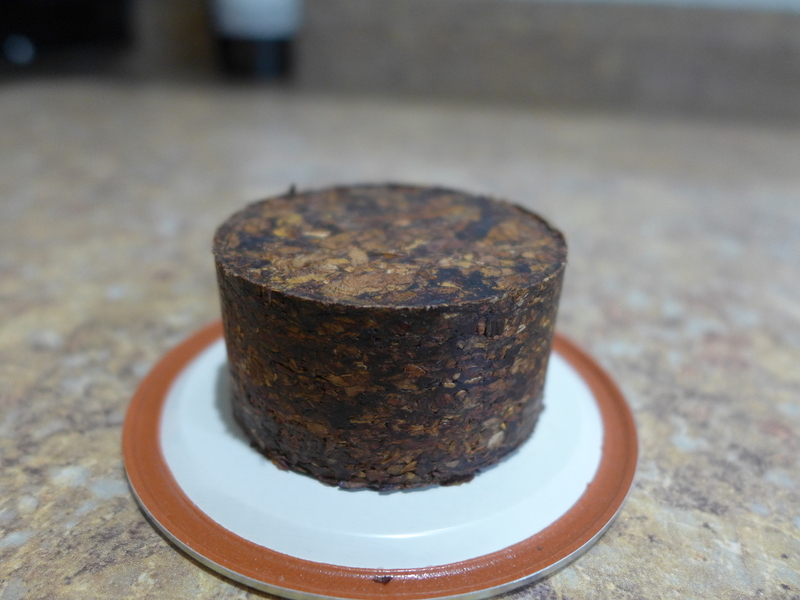 (2) If you guys are pressing cut tobacco, are you guys essentially making crumble cakes? If you were to use whole leaf wouldn't that press the tobacco into a plug to be able to be cut into flakes? Can those circle presses, press whole leaf, hard enough to cut flakes? The possibilities are endless, and my brain in going into over drive with ideas. And as far as using cut tobacco, that doesn't seem to be an issue. The plug I made is so dense that you could easily cut a flake off of it if you used a sharp enough knife. It was so hard that my pocket knife wouldn't even cut it without some serious sawing. You could probably press whole leaf easy enough as long as you ripped it into roundish chunks. What i dont understand, the bottom of the pasta press has holes in it, so pasta can come out. Doesn't the bottom need to be sealed air tight in the chamber of the press, not to dry out the leaf? and spraying it down with Blue Curaco liquour, before pressing. It's been suggested (Ernie from watch city) that instead of spraying alcohol on the leaf that you should infuse it instead. Put your measured tobacco into a Tupperware container and a shot glass with your hooch of choice in the middle. Close it up and let them make friends for a week or so. Open the container, remove the shot glass and dry the tobacco to close to your smoking level, then press. It's an experiment I'm going to try soon. As for them being crumbly. No. Both of the ones I've done so far are very much slicers. The codger plug is downright hard. I put a piece of parchment in the bottom of mine to cover the holes. 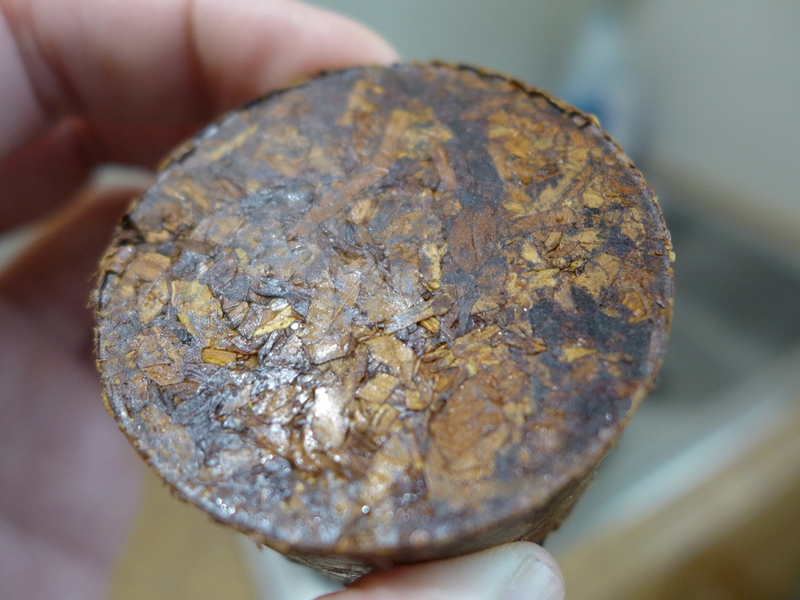 Even still, the tobacco is so compressed that there isn't any room for air to get in there and dry it out. Doing a small test batch. Casing made with a touch of molasses. The casing was so good I could have poured it on pancakes. Into the press nice and hot, and will pull it out in about 3 days. 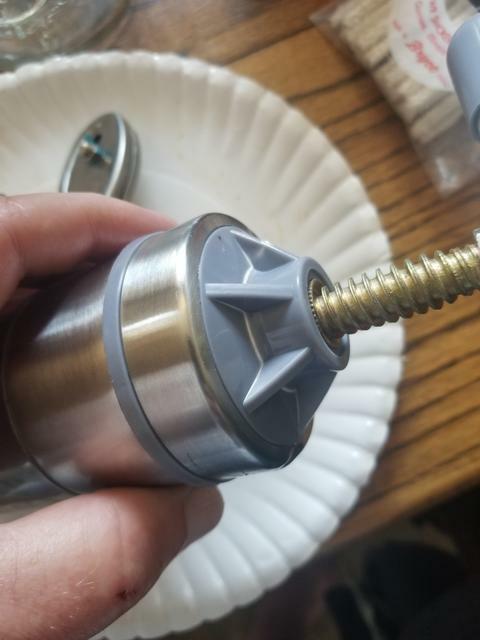 For this one, my goal is not to make a plug so much as to get things to marry, so I probably won't crank it down too much(it's already as tight as I could get it). I hope it will be good. As far as pressing goes, I sort of take the view that, yeah, being able to make insanely dense plugs is cool.. but ultimately I am going to rub it out anyway, so I'd rather just use the press to thoroughly marry everything. If I want to be able to cut flakes, I might just have a go with some of that magical "glue". I had a hunch that pressing for longer than 24hrs wasn't really going to do much good on this one, and after opening the press I got confirmation. This thing is a total brick. 66 grams, and even has a shine on it like commercial plugs. I think cohesiveness of the tobacco has more to do with heat, topping, and initial pressure, than it really does with time(past 24 hours anyway).